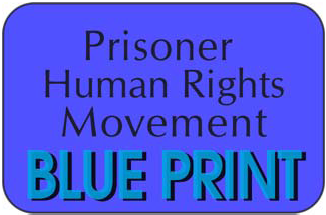 COMPLAINT ON HUMAN RIGHTS VIOLATIONS AND REQUEST FOR ACTION TO END OVER 20 YEARS OF STATE SANCTIONED TORTURE TO EXTRACT INFORMATION FROM (OR CAUSE MENTAL ILLNESS TO) CALIFORNIA’S PELICAN BAY STATE PRISON SECURITY HOUSING UNIT (SHU) PRISONERS. This is a formal complaint and request for action to end 20+ years of state sanctioned torture in order to extract information from (or cause mental illness to) California inmates incarcerated indefinitely in punitive isolation at Pelican Bay State Prison – Security Housing Units (PBSP-SHU),based on arbitrary policies and practices re: “status” of the inmates (i.e., a California Department of Corrections and Rehabilitation (CDCR gang “label”, without ever being charged, and found guilty of committing a gang related illegal act), in violation of the 1st, 5th, 8th, and 14th Amendments of the U.S. Constitution and International law barring the use of torture and other cruel, inhumane, or degrading treatment or punishment as a means of obtaining information, coercion and/or punishment for acts – suspected acts committed (per U.N. Conventions Against Torture of 1984 – 1985). 1. Named Complainant(s), on behalf of themselves and those similarly situated – inmates, family members, friends, and concerned citizens, harmed by such policies and practices. The CDCR has been violating the human rights of certain inmates for the last 10 to 35 years and counting via their policy and practice re: the arbitrary, indefinite placement of said inmates into punitive SHU units alleging said inmates “status” (i.e., a CDCR gang affiliation classification, which, in turn, is based on allegations made by confidential inmate information seeking and receiving special treatment, etc.) mandates this SHU placement for safety and security reasons. However, the true nature of such “status” based indefinite SHU confinement is not clear. While the arbitrary nature of such policy/practice is crystal clear, demonstrated by the fact that CDCR claims all validated prison gang affiliates automatically “pose an immediate, severe threat to the safety and security of all general population prison, other inmates and staff” solely based on this “status”. It is notable that most inmates who have been in the SHU for the last 10 to 35+ years have never been found guilty of committing a single gang-related illegal act. But the fact is that this “status” is actually only applied to a few hundred inmates, while tens of thousands of gang affiliates are in general population in prisons throughout the state. This arbitrary “status” based indefinite SHU confinement was imposed on a few hundred inmates beginning in 1985 – 1986, without prior notice that a gang “label” was prohibited and sanctionable; related rules and regulations were not included in CDCR Cal. Code of Regulations. Title 15 rules book until 1999 (while prison gang culture goes back to the 1950’s). The CDCR began housing these inmates in Pelican Bay State Prison – SHU (PBSP-SHU)in December 1989. Said inmates have been housed in PBSP-SHU arbitrarily, based on this “status” for the last 10-20 years now and their sole avenues for release from SHU are parole, death, mental illness, or “debriefing”. “Debriefing” requires a SHU inmate to provide CDCR staff with “sufficient verifiable information that will adversely impact the gang, other gang members and associates to the extent that they will never accept them back”. This equates to a CDCR requirement that said inmates have the choice of remaining in SHU until death, mental illness, or becoming a known informant who has caused damage to other inmates. This makes the inmate (and possibly his family members) a target for reprisal, potentially for life…many of these inmates are serving “term-to-life” sentences, and they have been eligible for parole for the last 5 to 25+ years, but they are told that if they want a chance to parole they have to debrief – period! B. There has been a lot of CDCR-PBSP (and guard union CCPOA) propaganda generated about these “worst of the worst” ever since 1989 and it has been perpetrated by the corporate media via television, dramas and movies. Yet a review of these so-called demonized “worst of the worst” PBSP-SHU inmates, who are party to this complaint, will reveal they are actually free of being guilty of serious rule violations for many years and zero illegal gang-related acts in prison. Many have paroled and discharged parole—staying out of prison 5-10+ years—but as soon as they returned to CDCR they were placed back into PBSP-SHU indefinitely. C. Many of these inmates are those who utilize the legal system to challenge illegal CDCR policies and practices, and encourage others to do the same. 1. Subject to 10+20 years of sensory deprivation via isolation and intentional limitations of normal human contact and social interaction, as much as possible. 2. Denied physical contact with family/friends; no phone calls and not even able to have a photograph taken to send home. The isolated location of PBSP-SHU near the Oregon border, and the fact that visits are restricted to 1 ½ hours on the weekends behind glass equates to no visits for most. 3. If they want out of the SHU, they have to provide staff with information and be willing to testify on other prisoners, free citizens, including family members that only harms others and this has to be known by everyone. This is a Catch 22 situation—become a notorious informant (and thereby place yourself, possibly your family, at serious risk for retaliation) or die or become mentally ill in the SHU. This is outrageous, and family, friends and concerned citizens are outraged by this (especially given the fact that CDCR staff are indifferent to, and incapable of guaranteeing the safety of inmate informants and their families outside of the prison.) This is applied to lifer parole eligibility too (i.e., become an informant, or do life—without parole). 4. Denied adequate medical care (this became more pronounced when Dr. Michael C. Sayre, became PBSP Chief Medical Officer in 2006, and who, with the complicity of several cronies e.g. M. McLean, Sue Risenhoover and James Flowers, et al, began to systematically discontinue and deny medication, specialist care, assistive aids by telling SHU inmates, “if you want better care get out of the SHU” and now SHU inmates are chained down to the floor of the clinic like animals if they need to see a doctor/nurse.) The Psychiatric Staff are complicit too claiming that “there are no mental health issues precluding continue SHU confinement”, without any personal interaction with those inmates. 5. CDCR-PBSP staff constantly seek ways to make SHU more punitive for these inmates (e.g., most cells are freezing in winter and adequate clothing and head coverings are restricted/denied; the food portions are smaller – much of it inedible and it’s the same bland diet every day for 20+ years) No exercise equipment – while most prisons provide at least a pull-up, dip-bar in SHU units; all property privileges are severely restricted/denied (compared to most long-term isolation units across the U.S.(including Federal Supermax in Florence, Colorado). Recently all college and education programs have been taken away from all PBSP-SHU inmates. Also, “group punishment” is a common response to any rule violation. All of which rises to a level which constitutes illegal policies that include psychological and physical torture for purposes of coercion and punishment – all based on the arbitrary status. Support for the severity of the combined conditions (exemplified above) is fact that many of these inmates have died; many have developed serious medical, and mental illness; and hundreds have elected to become “known informants” causing major problems to their families and many have victimized as a result (which CDRC is indifferent to), and when they are actually going through the “debriefing” process, if they don’t provide prison officials enough information on other prisoners and free citizens’ criminal activities they are told to come back when they do – forcing those debriefing to create and invent elaborate half-truth stories incriminating many, further endangering the de-briefer and his family. Complainants present the following examples of legal precedent in support of this complaint, and call for action. It is notable that California lawmakers and courts have been aware of these blatantly illegal policies and practices for 20+ years; however, for the most part they remain indifferent. Therefore, more direct action is necessary. a) 1st AND 5th Amendments – Right to be free of punishment for association and/or choosing not to speak (see NAACP v. Claiborne Hardware Co., 485 U.S. 866, 925 (1982); U.S. v. Safirstein, 827 F.2d 1380, 1388 (9th cir.1987), American Arab Anti-discrimination v. Reno,70 F.3d 1045, 1063 (9th cir.1995); Hydrick v. Hunter, 2006 D.J. D.A.R. 13181, 13186 (9th cir.2006); People v. Castaneda, 23 cal. 4th 743, 749 (2000) (Re: Cal. Supreme Court’s interpretation of Cal. Penal Code, Section 186.22, which is the Penal Code relied upon for CDCR rules re: “gang activity”. See: Cal. Code of Regulations, Title 15, Section 3023 (e.g., only conviction for felonious gang activity is sanctionable per. Cal. Penal Code 186.22). b) 8th Amendment – Right to be free from cruel and unusual punishment (e.g., not to be subject to serious threat or physical or mental harm) see: Valandingham v. Bojorquez, 866 F.2d 1135, 1138 (9th cir.1989)(Re: “informant status” issue); Benefield v. McDowell, 241F.3d 1267, 1271 (10th Cir.2001); David v. Hill, 401F.Supp.2d. 749, at page 756-57 [S.D.Tex.2005] and, U.S. v Basciano, 369 F. Supp. 2d 344(E.D. N.Y.2005); and Madrid v. Gomez, 889 F.Supp. 1146, 1229-30, 1260-67 (N.D. Cal.1955); regarding punitive conditions in PBSP-SHU, and mental health issues; wherein the court questions the legitimacy of SHU punitive measures being used indefinitely on the inmates at issue, and the court states…”In sum, those incarcerated in SHU for any length of time are severely deprived of normal human contact… conditions in SHU amount to a virtual total deprivation, including, so far as possible, deprivation on human contact” (Id.,at p.1230). The court noted…”courts have recognized SHU conditions, length of time and effects on mental health, are factors that must be considered” (Id. p. 1264-65) and then concludes that PBSP-SHU conditions were not a per se violation, “based on the current record” (specifically stating: the court “cannot speculate on effect it may have on inmates confined in SHU for 10,20 years or more”: Noting “the inmates studied in connection with the case had generally been in SHU for 3 years or less” Id.,p.1267) see also: U.C. Santa Cruz Prof. Craig Haney, expert psych. Studies of mental health issues re: “SHU Syndrome” available online (see U.C. Santa Cruz website). Importantly, the Madrid court acknowledged the applicability of the principles covered by the U.S. Supreme Court in Helling v. McKinney, 509 US 25 (1993) (Id., at p.1261. “these same standards will not tolerate conditions likely to make inmates seriously mentally ill”). The Helling court principle is that inmates subjected to unconstitutional conditions do not have to actually suffer physical-mental harm in order to obtain relief if the risk of future harm is a “substantial risk” the courts are supposed to provide relief. MISCELLANEOUS: See: Madrid ruling at p. 1241, at FN. 186 (Re: some validated gang affiliates not placed in SHU; also note: Cal. Code of Regulations, Title 15, Sections 3378(d) and 3378(e) re: general prison population vs. SHU gang affiliates eligibility for “inactive status”). This supports contention re: arbitrary nature of SHU; the fact that there are tens of thousands of gang affiliates in CDCR general prison population is well publicized in news stories and published general rulings. See also: Madrid ruling at pages 1263 at FN. 204 (re: contrary evidence showing a decline in CDCR violence starting in 1984—six years prior to opening PBSP-SHU. Notably an analytical study of CDCR violence since Madrid’s Jan. 1995 ruling will reveal a prison system a lot worse off since PBSP-SHU opened.) See: U.S.D.C. – N.D. Cal #coo – 905 S.I., Lira v. Cate order dated 9-30-09 – “Findings of fact and conclusions of law” (wherein, after a court trial, the court held CDCR-PBSP-SHU officials denied Lira of procedural and substantive due process…including that the 180 day classifi­cation reviews of his continued SHU retention (mandated in Madrid) were meaningless (id., order at p. 3, 40-42), and that PBSP-SHU (for 8 years) caused Lira serious mental illness. Such principles apply to all (however, very few obtain relief). (I.e., U.N. Universal Declaration of Human Rights, and 1984 Convention Against Torture and Other Cruel, Inhumane or Degrading Treatment or Punishment, ratified by U.S.A. 1994). Wherein the 1984 (C.A.T.) Article 1 defines, and criminalizes “Torture” (i.e., “any act by which severe pain or suffering, whether physical or mental, is intentionally inflicted on a person for such purpose as obtaining from him or a third person information or a confession, punishing him for an act he or a third person has committed or is suspected of having committed, or intimidating or coercing him or a third person,…when such pain or suffering is inflicted by or at the instigation of or with the consent acquiescence of Public Official or other person acting in Official Capacity”). There are no exceptions – (Article 2) violations are criminal acts (Article 4). Clearly the acts and omissions summarized herein violate clearly established U.S. Constitution principles, and International Treaty Law (a flagrant violation of Article 6 of the U.S. Constitution, which affirms that treaty law is the “Supreme Law of the Land”). GOOD CAUSE be demonstrated, the complainants request a formal investigation, official international condemnation of said policies and practices, as well as, direct action by those affected, as deemed warranted, just and necessary to right the wrongs. Thank you for spelling out the issues of the complaint in a clear manner that I can print out and distribute to the citizens of California. I am encouraging everyone I know and people I don’t know to become aware of this and become involved in changing this inhumane and unfair treatment of the men in the SHU at Pelican Bay. My son has been in the PBSP SHU for going on three years and was validated by the state for invalid reasons, not any illicit gang activity. He has been serving a life top sentence for 20 years and has been incarcerated since he was 17 years old. I will do all I can to help make the necessary changes to help make changes for him and all the others subjected to these unjust practices that go against basic humane treatment. 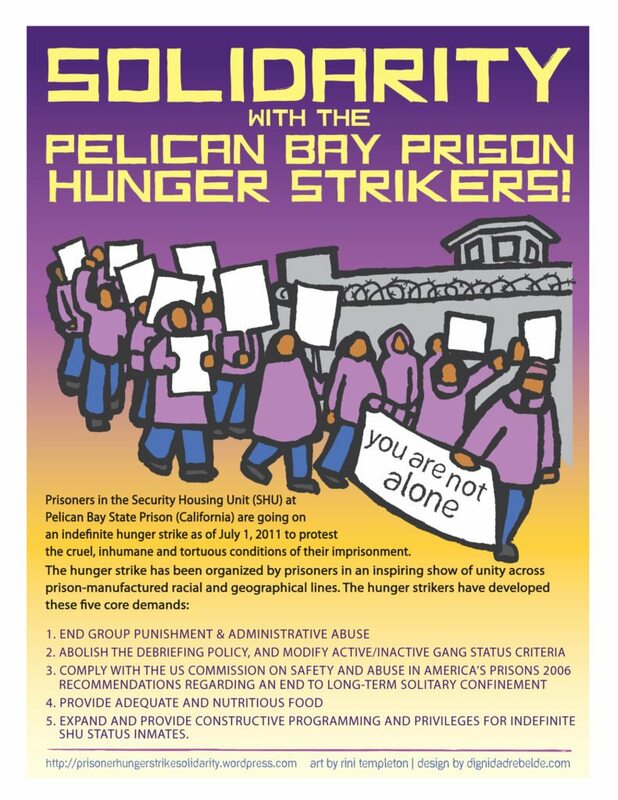 Pingback: Written Statement by Short Corridor Collective (a small representative of the Hunger Strike Leaders at Pelican Bay)california-usa « Act for freedom now! how are we supposed to print this complaint out to pass on to folks? i have tried every conceivable way that i know, but it refuses to print out. am i supposed to write it all down by hand? thanks in advance for all your help! What I did is copy and paste to my microsoft word. It works fine and you then can make as many copies as you need. Thank you for the dedication and support to the inhumane conditions our government have been afflicting to our loved ones. The conditions and treatment is beyond what people fully understand that is happening in our own country. I hope your websites shed understanding to the non supporters and keep the rest of us informed.